Jeff Price first became involved in Special Olympics when he began his career as a Special Education Teacher in 1996 and he has been a Special Olympics swim coach for 22 years. His personal connection to Special Olympics began at the public pool in his hometown when he was in high school and college where he worked as a lifeguard, a water safety instructor, and a pool manager. Every summer for a week individuals with intellectual disabilities from a local agency would swim after hours. He had so much fun, he knew right then that he wanted to be involved with Special Olympics. He says Special Olympics has changed his life in many ways, by giving more of himself to others, by seeing and loving others more for who they are, understanding more of the challenges in life, and striving to always find the positives in others and connect with them. 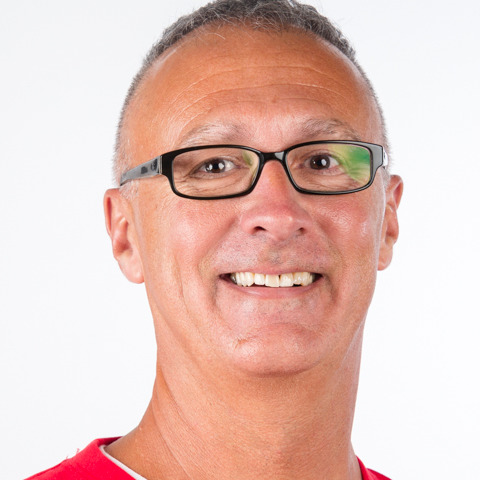 Jeff has previously coached swimming and volleyball at past World Games in North Carolina, Ireland, Greece and Los Angeles, and he has been trained as a Coach with the Michael Phelps Foundation. Jeff says attending the Special Olympics World Games Abu Dhabi 2019 will be a truly amazing and memorable experience for him as he coaches swimming athletes from the USA. He is preparing for the 2019 World Games by studying and learning more about the UAE and learning some basic Arabic language as well as learning more about the Emirati customs and culture.